Gold. It’s back. But it’s not the shiny brass from yesteryear. The new golds tend to be softer in color and finish. This cabinet vignette is a stunner and one of my favorites in the Infinity Showroom. We will talk about the smooth gray finish and the luxe back splash and counter top in another post. Why gold? 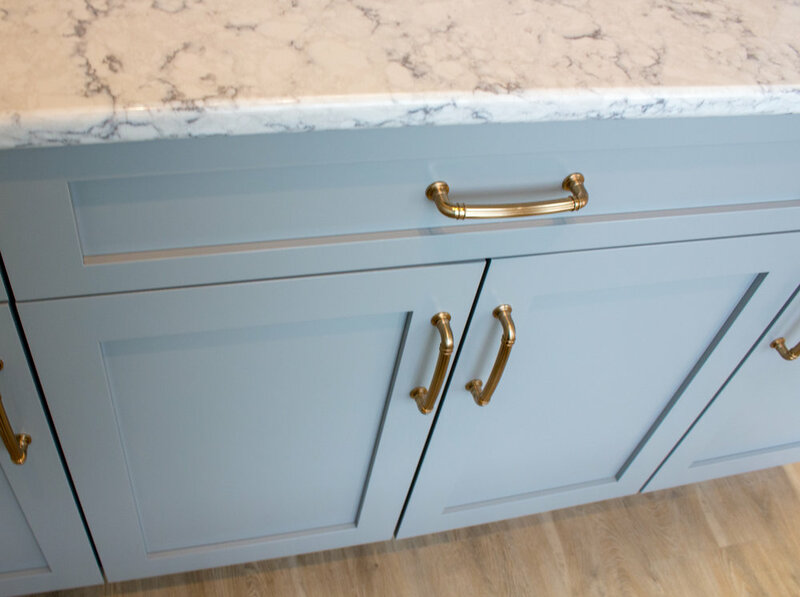 Why not put the standard satin nickel hardware on these cabinets to go with the gray? Or acrylic, copper, iron or white hardware...there are endless options. I chose the champagne gold for several reasons. One is that, frankly I've seen enough satin nickel to last me a while. It's a lovely finish, but as we tend to do in all colors and finishes - we've overused it. 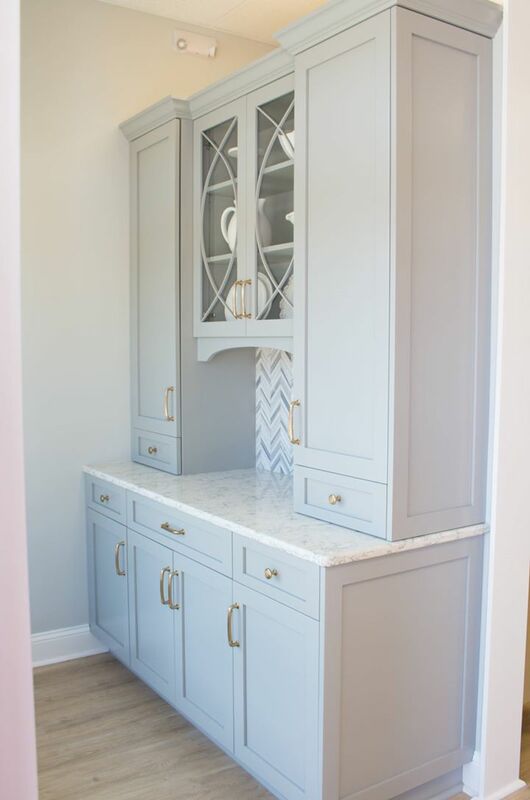 But with this gray cabinet, I thought it blended in just a little too much. The elegant style of the cabinets, including the curved mullions (be still my heart) led me to dressy tile and counter top finishes. That decision excluded using hardware that was casual or contemporary. Choosing hardware or any metal finish in a room is like selecting jewelry for an outfit. Sometimes you can add some bling to a t shirt and jeans and you are good to go. But if you are wearing the most elegant dress in your closet, you need something special to set it off. These champagne gold pulls and knobs sets this grouping apart. Subtle and pretty. So go for the gold. It’s here again and it’s lovely! Glass front cabinets with curved mullions. Yes, please!